I love the look and feel of this chair! It has a wonderful timeless quality and a cheeky contemporary colour scheme. 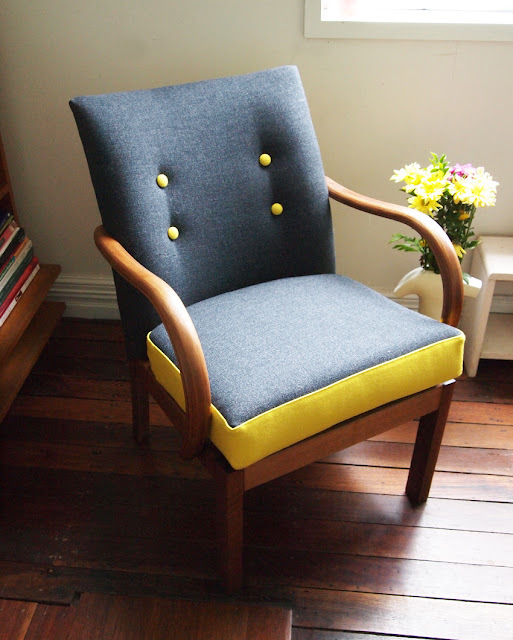 I also enjoyed the other chair revamp stories on the website Flourish and Blume!